As many of you know, This month I traveled to Ann Arbor Michigan to the Original Art Fair. There were approximately 1400 artist that participated in this week long event. This year the temperature in Ann Arbor was a record high, sprinkled with severe storm warnings and rain. The 7 state journey was quite the experience this year. Art patrons braved the elements and came out to support the artist. But the best thing about the trip up north was the opportunity that I had to be in the Company of Greatness! 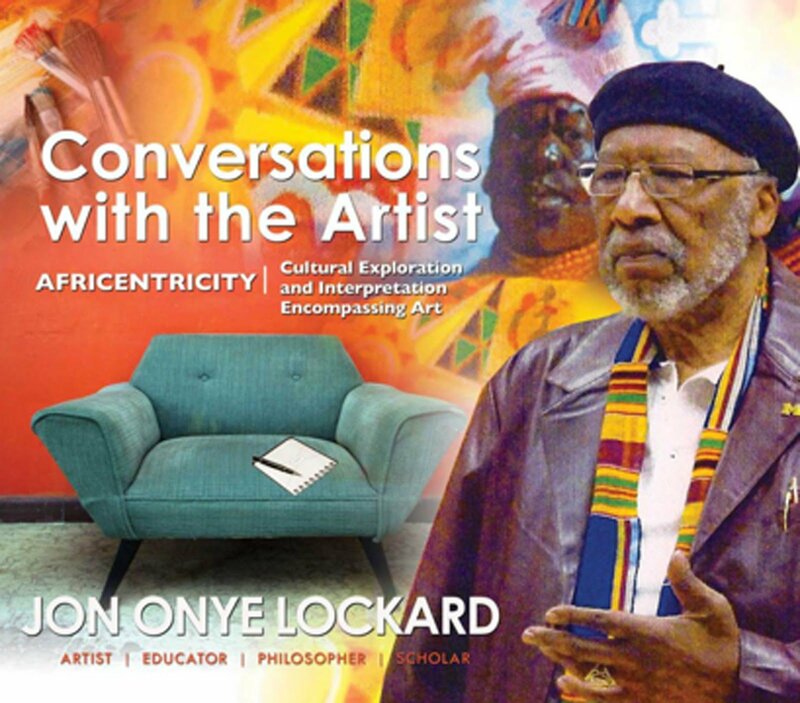 I am referring to an awesome, Professor, Dr., Artist, Mentor and humble man, named Jon Onye Lockard! I first met Mr. Lockard in Atlanta Georgia in the late 80’s or early 90’s. While Mr. Lockard painted my portrait, I had the opportunity to visit with him. This was prior to me becoming an artist. The words that he spoke to me, were seeds of wisdom that would begin to shape me into the artist I am today. To make a long story short, We started out looking for Mr. Lockard at the University (since we knew he was an professor there). After asking random people and searching with little success; a man in our booth overheard us inquiring about Mr. Lockard. It turned out that he and his wife knew Mr. Lockard, she was a previous student of Professor Lockard. She gave us his phone number and contact information. Needless to say, I was elated to receive this information. It had been at least 10-15yrs since I saw him in person. We were determined not to leave Michigan until we saw Professor Lockard. The next day we followed up with the contact information and went by Mr. Lockard’s home. He and his wife were gracious enough to invite us into their home, for what turned out to be a pivotal moment for me and the best thing for my creative spirit! I can’t describe to you the wisdom, care, time and knowledge he shared with me! We discussed Art (of course) in great lengths, we discussed world issues, and what it meant to be an artist in today’s society. And how we are all charged with a sense of responsibility to pass on and share our gift with the world. And how it is our duty to help one another. Mr. Lockard gave me a tour of his art studio! It was filled with life and years of art experience and a collection of artwork from artist from a round the world that have come to know and love him on the same level as myself! 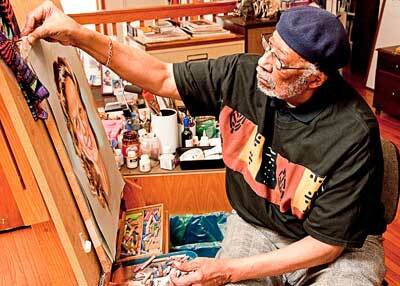 He was working on several paintings and private commissions at the young age of 81!!! 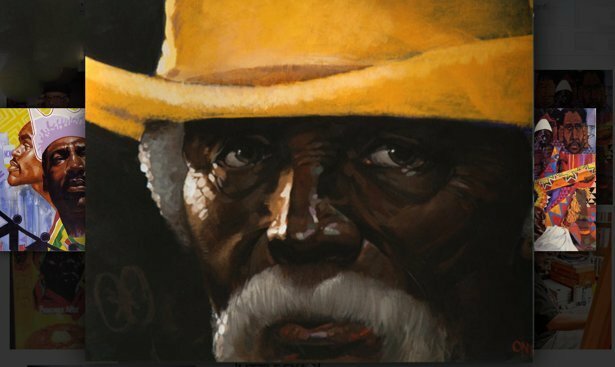 I learned that he was recently the Key Art Advisor for the Martin Luther King Monument in Washington, D.C. Mr. Lockard is a nationally well known mentor and artist! The List of Artist that has sat under his council and guidance is vast! These artist have become not only successful but a small reproduction of his greatness. I am blessed to know him an to have experienced the sprinkling of the seeds of his knowledge and kindness that has rooted in my life!!! Far to often life gets in the way and we never get the opportunity to say THANK YOU! I am grateful to share a piece of my artwork with him and have the opportunity to share the story of my journey and how he influenced my life as an artist!